to celebrate the NOON Mass on March 15, 2015 at Old St. Mary’s … the historic church chosen by the Detroit Mass Mob. Parking is free at the Greektown Casino Parking Structure located on I-375 (Chrysler Service Dr.) Service Drive and Monroe. 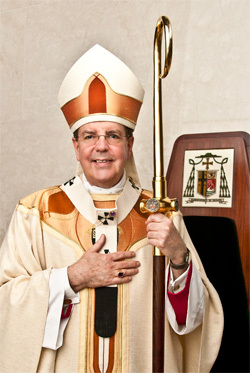 Old St. Mary’s Knights of Columbus Council 305 will help direct people to the structure and the church that day. Mass will be followed by tours of the church, silent prayer and Old St. Mary’s will remain open as long as there are people interested in staying. Old St. Mary’s is located in the heart of Greektown and for those who wish to dine there are many restaurants within 1 block. 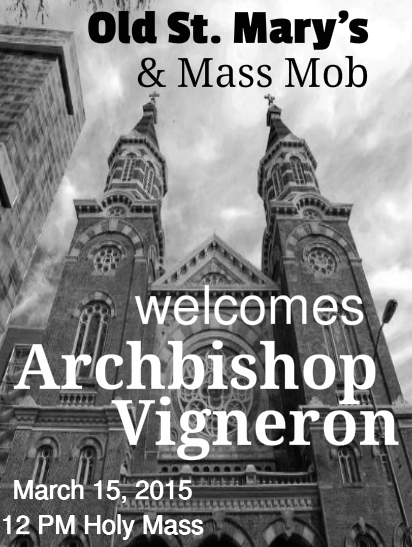 For more information on Mass Mob, see the Mass Mob Website.